I am a Strength & Conditioning Coach out of South FL helping endurance athletes of all disciplines. Let me help you finish your next Triathlon, Running Race, Obstacle Course Race, or Cycling Event with a PR and stronger than ever. I help athlete's of all levels - from beginners looking to finish their first 5k to Spartan Race Champions. I am a former Division 1 Swimmer and obtained my B.S. in Exercise Science from Florida State University. I currently complete in all distance of triathlon including Ironman. After being constantly injured as a swimmer, I knew their had to be a better way to train. That's what made me want to get my degree in Exercise Science. Rather than going by old school training methods of putting thousands of yards in the pool for no real reason, I studied the latest research and found there not only was a better way to train, but safer, more efficient way. Through a customized Strength and Conditioning Program consisting of Olympic Lifts, Power Lifts, preventative injury exercises, mobility training, high intensity interval training, and emphasizing technique over hours of training, I will not only ensure you finish your next race, but reach your true potential. 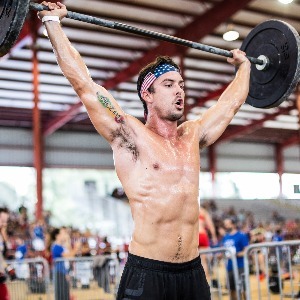 I am certified by the National Strength and Conditioning Association as a Strength and Conditioning Specialist (CSCS), Crossfit L1, Crossfit Mobility, and Crossfit Endurance. Success. Coach Sean Spire has been notified of your message.